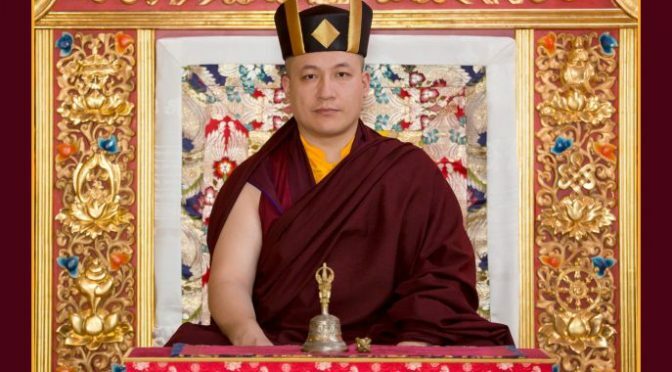 Thaye Dorje, His Holiness the 17th Gyalwa Karmapa, shares the following message concerning today’s mass shootings in New Zealand. I was so saddened to hear about the mass shootings at mosques in Christchurch, New Zealand. As I write, at least 40 worshippers were killed during their Friday prayers, and 48 people have been injured. Pray with all your heart for peace in the minds of those who have passed away. And pray for those who are affected by this tragedy and all the other tragedies that touch our hearts. Do not despair. Instead, pray with all your heart, in whichever way you know. Meditate if you can, but do not let despair work against your heart and succumb to overwhelming fear. May we pray for the victims and loved ones of this awful attack, and for all of the people of New Zealand.